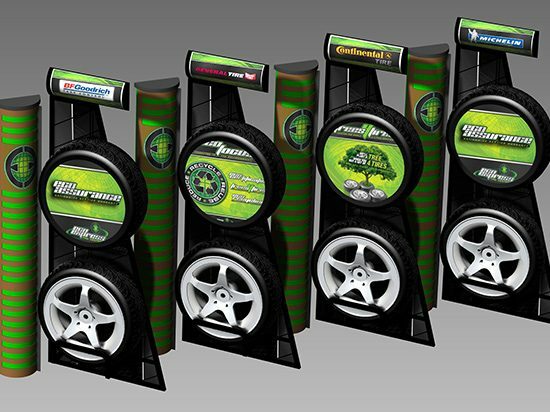 As part of an extensive and dynamic product line, Motivo specializes in the design and manufacture of tire displays. 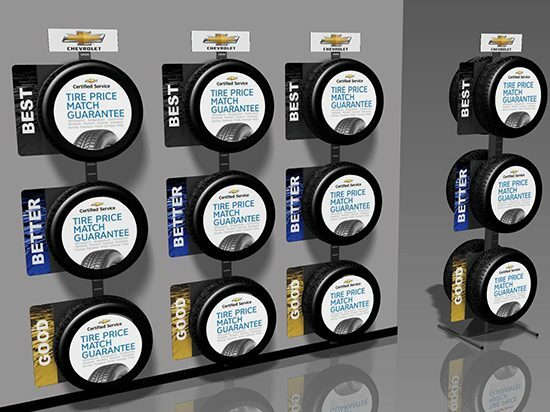 Our diverse portfolio of custom tire displays provides a cost-effective solution for independent tire dealers with various budgets and various products in mind -- from single-tire displays to entire tire walls. Whether you are challenged with limited space, limited budget, or both, our team of experts will work closely with you to create a display product that will attract and engage customers at point of purchase. 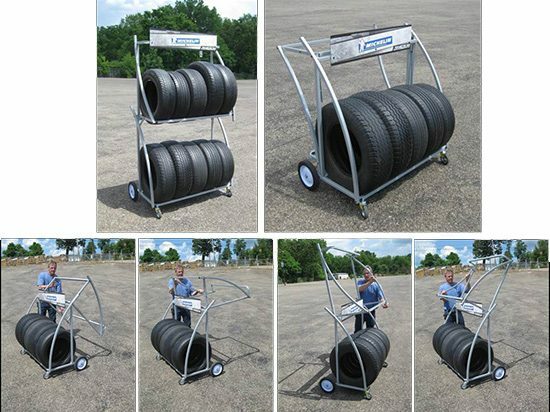 Besides working as statement pieces meant to engage customers at point of purchase, our tire displays come already assembled or easy to assemble, with most requiring just a screwdriver for proper and quick assembly. 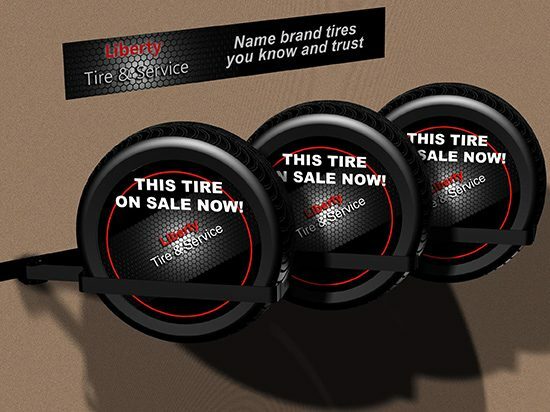 One of our more popular tire displays, the Slimline Tire Display, is versatile and cost-effective and can be used as a one, two or four tire display. 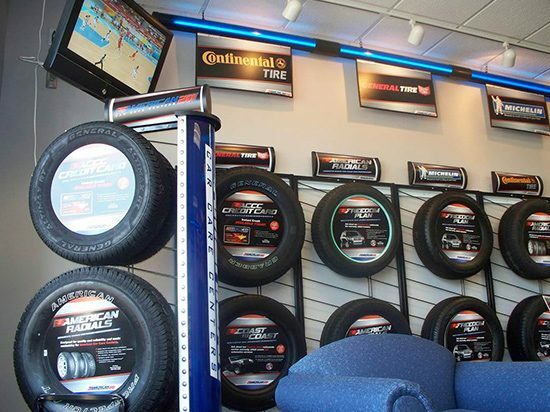 We also offer the popular and sturdy Modular Tire Wall System that can be easily paired with other counter displays to really make your showroom stand out. Here at Motivo, we do so much more than tire displays! 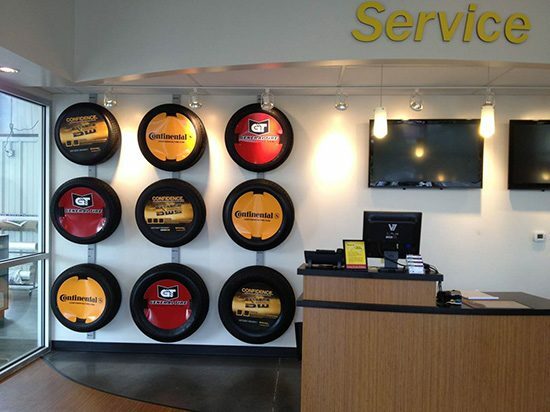 We offer a number of popular tire display products, including signage, valance systems, wall graphics, interactive displays, tire puncture displays, tire carts and more. The Motivo Team understands how important it is to create impact marketing pieces that will ultimately sell products, but we also firmly believe in quality -- something that is a top priority for us. 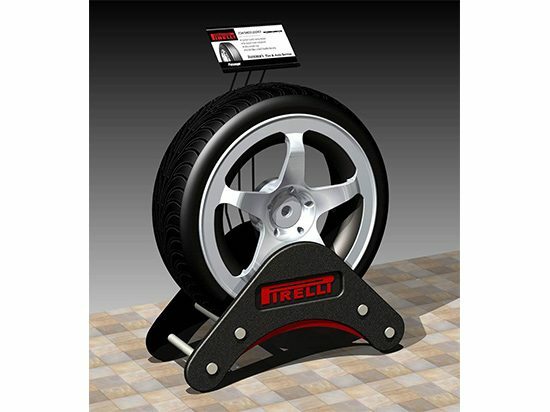 With that in mind, our tire displays and products are sturdy pieces designed by our team to sit evenly on floors through the use of levelers. We use top-of-the-line material to create our products, and we work hard to provide exceptional products of high quality. Our products are proudly “Made in the U.S.A” and they are built to last for years to come, whether you are using them as indoor or outdoor pieces. Ready to improve your showroom and get customers engaged with your products? Contact us today!